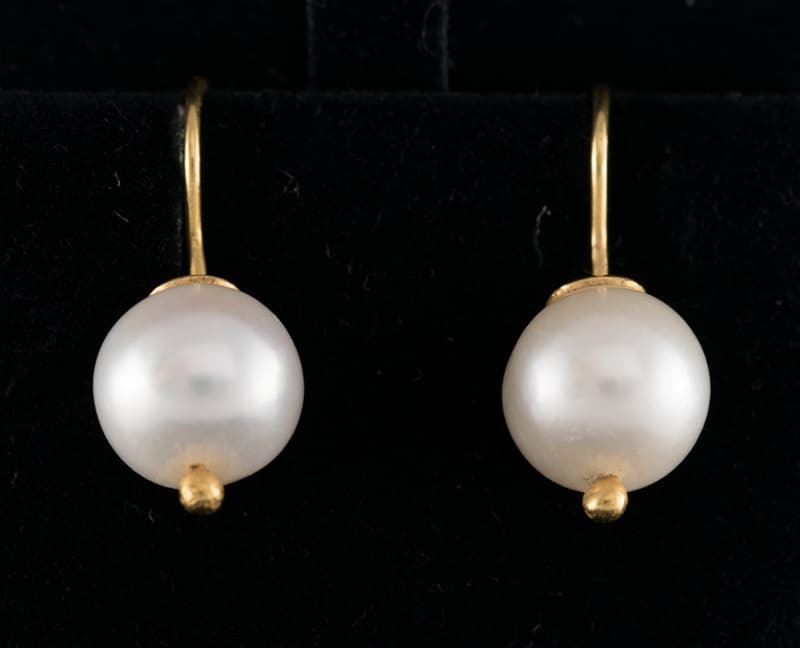 Bright, lustrous large white pearls on 22ct gold French wires. The wires are longer than the normal ear wire and this means they curl down behind the pearl and become part of the design feature. Perfect for every day, classic for the evening.